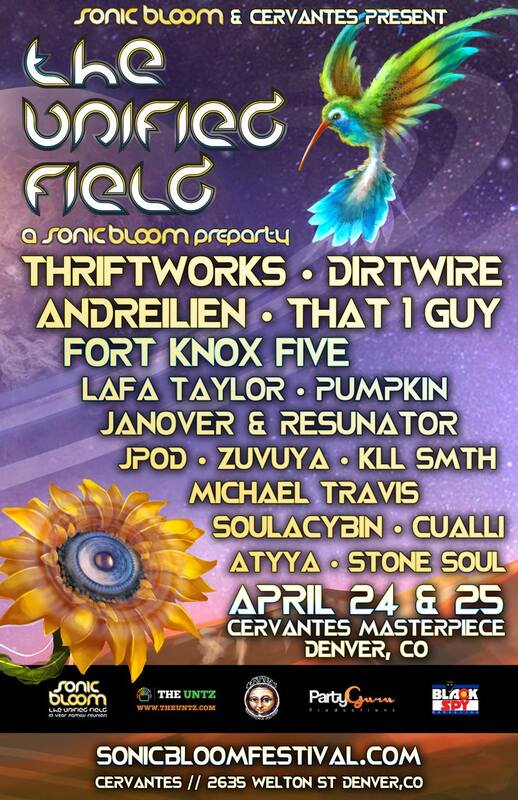 Looking forward to this weekend’s Sonic Bloom Pre-Parties at Cervantes Masterpiece in Denver! 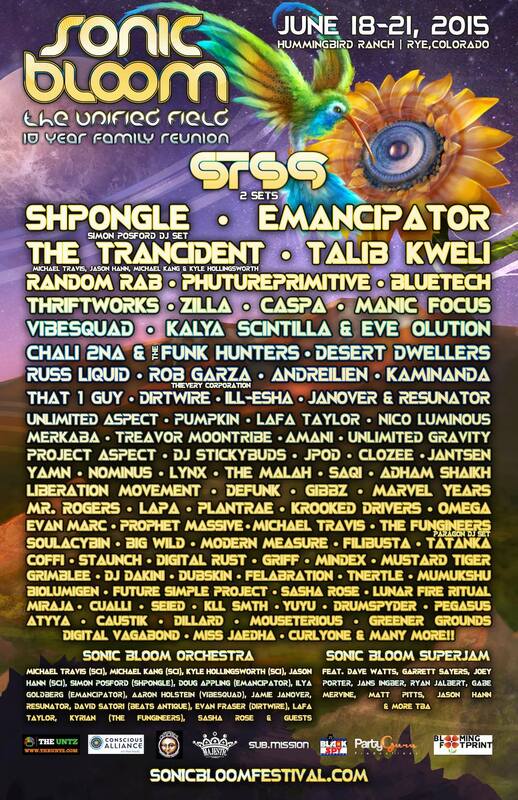 This year is the 10-year reunion of Sonic Bloom and the festival will be held in a new location called Hummingbird Ranch in Rye, Colorado. I am excited for all the possibilities that come with holding it at this new location in such a beautiful valley. Make sure to stop by Cervantes for The Unified Field this Friday April 24th and check out Thriftworks, Lafa Taylor Music, Fort Knox Five, Pumpkin, Jamie Janover & ∞༺ reSUNator ༻∞, JPOD the beat chef, Soulacybin, and Stone Soul & Saturday April 25th with Dirtwire, Andreilien, That 1 Guy, Zuvuya ft. Xander Green, Michael Tavis & Jamie Janover, Michael Travis of SCI (solo DJ set), Cualli, kLL sMTH, and AtYyA! + PLUS PERFORMERS: Lauraleight MaQi, Ariana AriFairy, Stephinity Salazar, Danielle Odette, Boucle D’Or, Resonance of Bliss, Alixandra Marie, Kodi Kush, and Barnaby Jones! HOW TO GET INVOLVED? APPLY VIA THE LINKS BELOW! ARISE Pre-Party in DENVER THIS WEEKEND!